There’s quite a bit of media attention these days focused on the subjects of Medicare and Social Security, the two most critical social insurance programs available to America’s seniors. While so much can be said about the value of these two programs and the reliance that our seniors–and I’m one of them!–place on them for support, it’s equally important that everyone have a sense of the challenges ahead. For this reason, the Bipartisan Policy Center has published an up-to-date “Chartbook” titled “Social Security & Medicare Explained: Top 10 Questions & Answers,” a set of charts and graphs designed to explain key basics and metrics about these two broad areas. As explained on their website, “(t)he Bipartisan Policy Center is a non-profit organization that combines the best ideas from both parties to promote health, security, and opportunity for all Americans. BPC drives principled and politically viable policy solutions through the power of rigorous analysis, painstaking negotiation, and aggressive advocacy.” Their 2019 Chartbook provides, in snapshot form, background information on Social Security and Medicare, focusing on the programs’ beneficiaries, the source of their funds, and projections for what lies ahead in the not-too-distant future. The Chartbook itself is a quick read, but you might want to allocate some solid think time to “the question behind the question,” so to speak. For example, Question No. 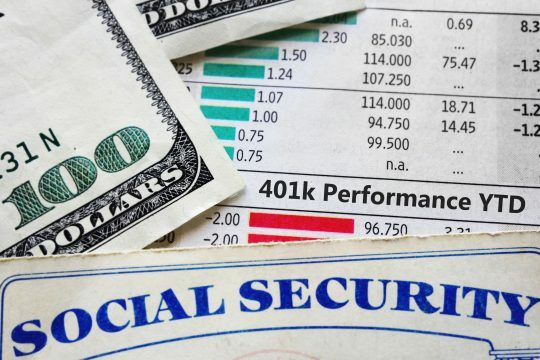 7 deals with the state of the Social Security Trust Funds, and that’s an area that needs to be better understood to overcome the pervasive myth about the origin of Social Security’s financial challenges (see the article I posted last month on this issue). A better understanding of the facts associated with Social Security’s fiscal situation can only help to pave the way for a solution to the long-term problems. So, here’s a link to the “Social Security & Medicare Explained: Top 10 Questions & Answers” publication, along with an invitation to check it out and, if you have any questions or would like to know about these programs, to contact our Foundation. Our staff includes a team of trained and certified Advisors who can answer your questions about these critical social insurance programs.